Sam Tripoli, the host of one of America’s most popular conspiracy themed podcasts “Tin Foil Hat”, is bringing his provocative world view to the stage in a special night of stand up comedy and far out theories. 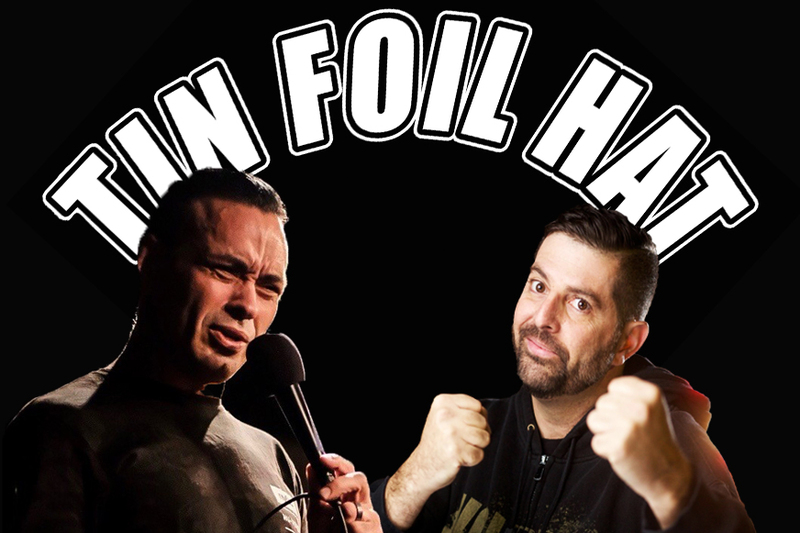 Joined for this limited engagement by fellow status quo provocateur & Joe Rogan podcast regular Eddie Bravo, the dissenting duo will turn conventional thinking & historically accepted accounts on its’ collective ear. You’re under the impression that man really walked on the moon? You’ve assumed all these years that the world was round? Sam and Eddie have a collection of entertaining observations on those widely held positions (and many others like them) that will start you laughing but leave you thinking. Perhaps best known for founding the 10th Planet Jiu-Jitsu martial arts system, as well as his many appearances on the “Joe Rogan Experience”, Eddie Bravo is the definition of a Renaissance man. Known as an accomplished martial artist, musician, commentator, and viral philosopher, Bravo is a counter cultural dynamo who wows any crowd that gathers within the sound of his voice. His disciples and devotees travel long distances to listen to Bravo hold court on all things unbelievably yet undeniably curious.